313 pages | 258 Color Illus. Film directors recognize that neurologic disease impacts mind and motility and often use it in a plot or defining scene. It should be informative and educational to deconstruct neurologic representation in film. 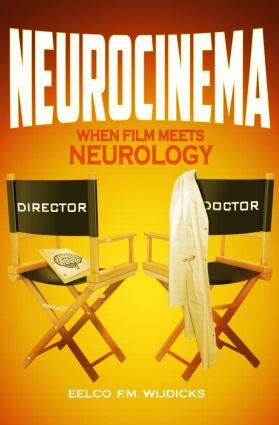 Neurocinema: When Film Meets Neurology is a collection of film essays that summarize the portrayal of major neurologic syndromes and clinical signs in cinema. Many films approach the reality of disease quite closely, and as a result, are deeply moving and memorable. Equally important, these films say as much about consequences as they say about the disorder. Therefore, the main themes include sudden confrontation with a major neurologic illness, disability from chronic neurologic disease, and failure to lead a normal life. More than 100 fiction films and documentaries are discussed in this completely original and definitive work on how film meets neurology. The book includes nearly 50 neurology topics, explains them, and places them in a broader context. The book is accessible for all health care workers and general readership. Eelco Wijdicks is a professor of neurology at the Mayo Clinic College of Medicine. He is the chair of the Division of Critical Care Neurology and an attending neurointensivist at Mayo Clinic Hospital, Saint Marys Campus. He has written numerous books and scientific articles on the clinical practice of neurocritical care. He is enamored with cinema and neurologic representation in fiction and documentary films. Dr. Wijdicks has written film reviews for Neurology Today and THE LANCET Neurology. He is the author of a major publication on the portrayal of coma in film and its potential effect on the viewing public. "…should be required reading for all neurologists." "This volume is written with passion, and the author’s real affection for the cinema seeps from every page. This book is not just for film buffs … We should all watch and learn."